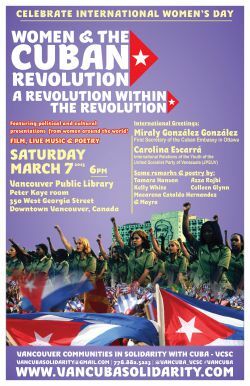 WOMEN & THE CUBAN REVOLUTION - A Revolution within the Revolution! >> An evening featuring political and cultural presentations from women around the world! struggle of for women's rights!